The San Jose Earthquakes are pursuing Georgia international Valeri Qazaishvili, according to multiple sources. The San Jose Earthquakes are in pursuit of Georgia international midfielder Valeri Qazaishvili and hope to sign him to a Designated Player contract ahead of the summer transfer window, multiple sources have confirmed to ESPN FC. Dutch outlet De Gelderlander was the first to report the link. One league source indicated that the deal is "98 percent" complete. Qazaishvili, 24, has been on the books of Eredivisie side Vitesse since 2011, but spent the bulk of last season on loan to Polish Ekstraklasa side Legia Warsaw. With Legia, Qazaishvili made 16 league and cup appearances, scoring one goal. During parts of six seasons with Vitesse, Qazaishvili made 122 league and cup appearances, scoring 28 goals. Qazaishvili has been a Georgia international since 2014, making 25 appearances and scoring four goals. During Georgia's World Cup qualifying campaign, Qazaishvili has played in a wide midfield role in the team's 4-2-3-1 formation, while occasionally operating as a central playmaker. Acquiring an attacking midfielder has been a priority for San Jose GM Jesse Fioranelli ever since he was hired in January. 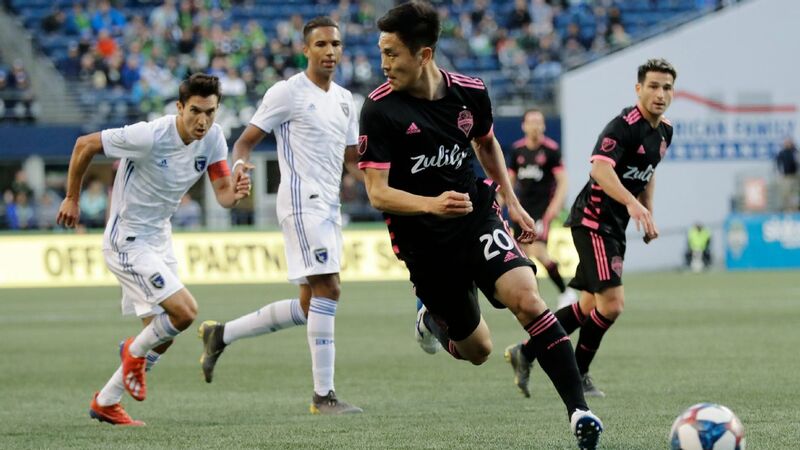 San Jose signed midfielder Jhamir Hyka, along with forwards Marco Urena and Danny Hoesen in the offseason, and the Quakes' attack has improved to a degree, tied for ninth in MLS with 9.25 chances created per game. But creating quality chances has been an issue, as the team ranks 19th in the 22-team league with 1.15 expected goals per game.